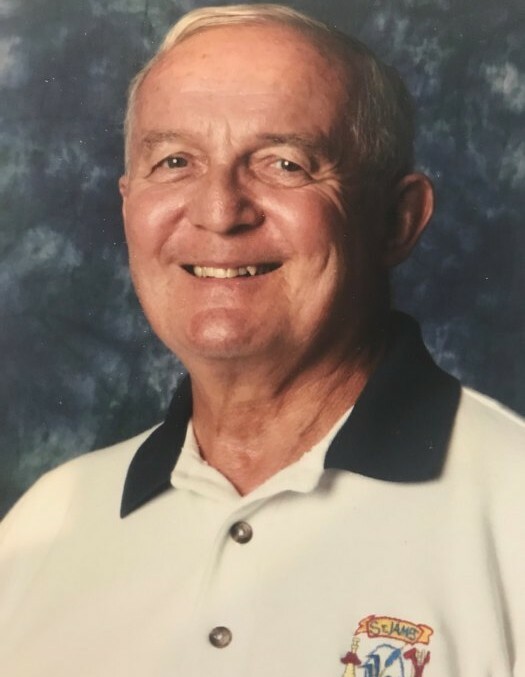 William M. “Bill” Bauernschub, age 77, of Bluffton, SC died Wednesday, January 30, 2019 at home. Mr. Bauernschub was born on September 12, 1941 in Baltimore, MD, the son of the late John and Ann Bauernschub. He was a graduate of Loyola College where he earned a degree in business. He worked for many years with AT&T International, where he retired as a Project Manager. Bill volunteered as an emergency medical technician with the St. James Fire Department in Southport, NC as well as with hospitals and clinics on Southport. He was a parishioner of St. Gregory the Great Catholic Church and was a member of the Knights of Columbus. Outside of work and volunteer work Bill enjoyed golf and traveling. Mr. Bauernschub was preceded in death by his brothers, John and Thomas Bauernschub. He is survived by his loving wife of 50 years, Mary Catherine “Cathy” Bauernschub; daughters, Bridget Butterfield (Thomas) and MaryBeth Lowman (Eric); and grandchildren, Meaghan Butterfield, Griffin Lowman, Katherine Butterfield, Carter Lowman, Hannah Butterfield, Abigail Butterfield, and Sadie Lowman. A funeral mass will be celebrated at 10:30 a.m., Monday, February 4, 2019 at St. Gregory the Great Catholic Church, 31 Saint Gregory Drive, Bluffton, SC 29909. In lieu of flowers, remembrances may be made to Memory Matters, P.O. Box 22330, Hilton Head Island, SC 29925 or St. James Fire Department, 3628 St. James Drive SE, Southport, NC 28464.